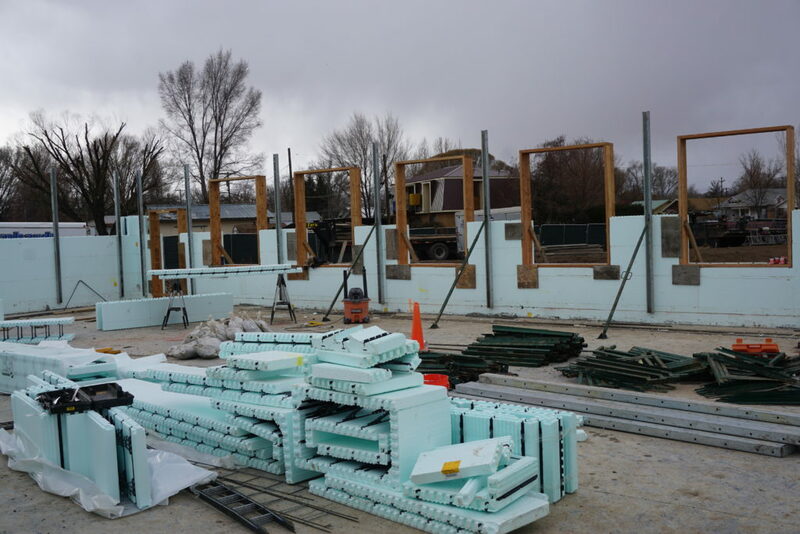 Going Vertical | Kissner GC, Inc.
Last week, structural steel columns were placed, and the insulated concrete forms (ICF) started going up to demarcate walls. Now it’s much easier to visualize the layout of the middle school addition. 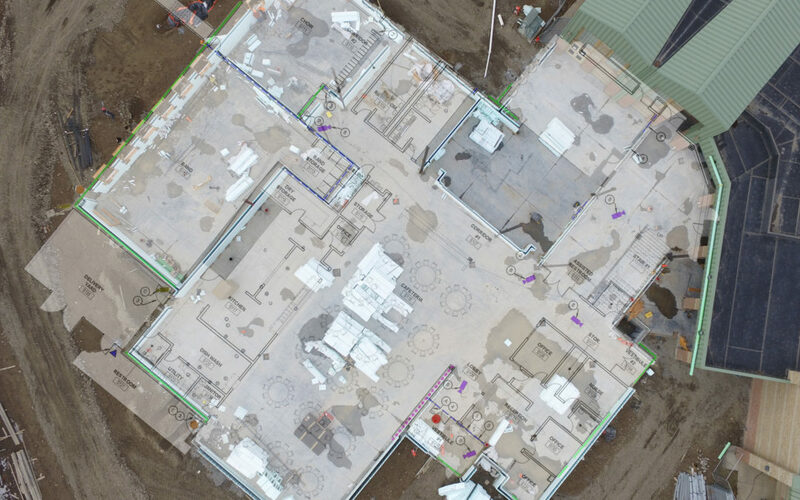 In the image above, the architectural drawing overlays an aerial shot of the job site. LVL bucks hold places for windows and doors. Interior of the band room, with ICF at the ready for building walls. 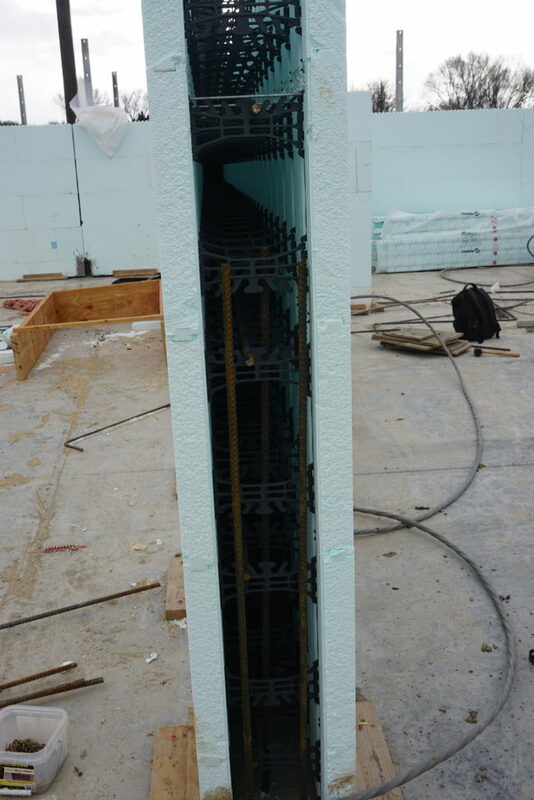 The ICF gets placed first, along the set rebar. 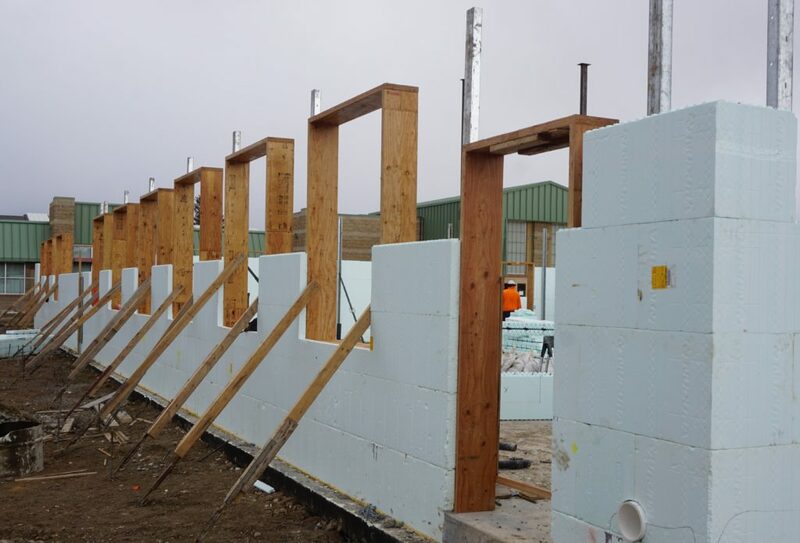 At a later date, the forms will get filled with concrete to form solid, well-insulated walls. The 360-degree image above shows the interior of the choir room. To interact with the image, click and drag.